In December 2016, Gemini Offshore Wind Park started the process to develop and implement an asset management system for the operational phase of the 600MW project. Target was achieving ISO 55001-asset management certification. The scope included developing a tailor-made Quality Management System (QMS) and a structured, risk-based approach towards asset management to be followed by the Gemini team organisation throughout the operations phase, which the project just entered. UK based consultancy Aeolus was selected to lead this process and the system was developed in close cooperation with the Gemini management team and engagement of CMS, an ISO 55001 consultancy, to ensure that the system would serve Gemini’s work culture and would be fully compliant with ISO 55001 requirements. 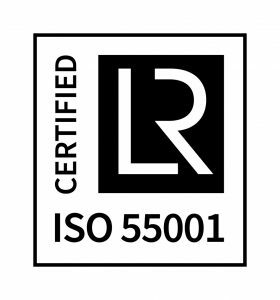 Only one year and two months after its official inauguration on 8 May 2017, Gemini has achieved ISO 55001 certification by Lloyds Register making it the first single purpose offshore windfarm project to achieve such accreditation. The success of this story lies on strong involvement of both the management team and the team of Gemini that embraced this target. The result is a QMS system that helps the Gemini team to stay focused on the most important aspects of Gemini business and prioritise the day-to-day business accordingly. It helps Gemini to be on top of potential risks and opportunities following a risk-based decision-making approach, which leads to making better-informed decisions. The ISO accreditation provides a means to conform to an excellent asset management system and continuously improve the Gemini performance. The system will ensure that risk awareness and continuous improvement are embraced for the project’s lifetime. Gemini is already producing renewable electricity for 1.5 million people, while reducing CO₂ emissions by 1.25t million per year.